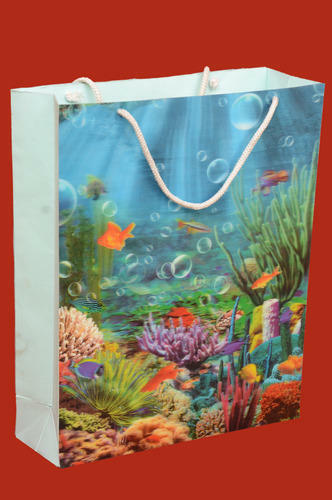 We are leading manufacturers of Plastic 3D Printing Carry Bag. Known for manufacturing, exporting and supplying a broad range of supreme quality Packaging Bags & Boxes, Vishi Plast was established in the year 2006. The product range offered by us is inclusive of PVC Bags, Printed PVC Bags, Garbage Bags and many more. The plastic and paper, which is best in the market, is used for manufacturing of these packaging materials. By using ultra-modern tools and equipment, our professionals manufactures these packaging materials in adherence to the industry set norms and regulations. Owing their seamless finish, durability, robust design, distinctive appearance and lightweight, these plastic and paper packaging materials are highly demanded. With the aid of our large production capacity and warehousing unit, we have been able to effectively meet the bulk orders. These packaging products are highly demanded in Industrial packaging, Food packaging and Retail market. Since the inception of our company, we have been able backed and supported by a state-of-the-art infrastructure and a team of skilled professionals. With the aid of rich infrastructure, we have been able to meet the precise requirements of our valuable patrons in the most efficient manner. In addition to this, we have been able to export our product range to Dubai.